This will surely be a powerful hour. Roger Ebert, who was the subject of an extraordinary profile by Chris Jones in Esquire recently, will give an interview on "Oprah" on Tuesday, Oprah's PR firm has just announced. Yup, the Pulitzer Prize-winning film critic, whose battle with thyroid cancer has left him voiceless, will speak with the help of text-to-speech computer technology. The appearance will be Ebert's first televised interview since he lost the ability to talk. 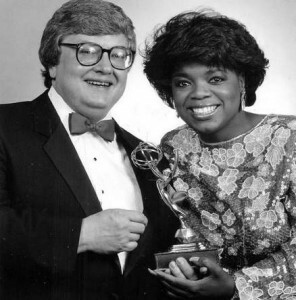 Oprah and Ebert go way back, by the way, in a friendship (including two dates back in the 1980s) that Ebert once detailed on his website. 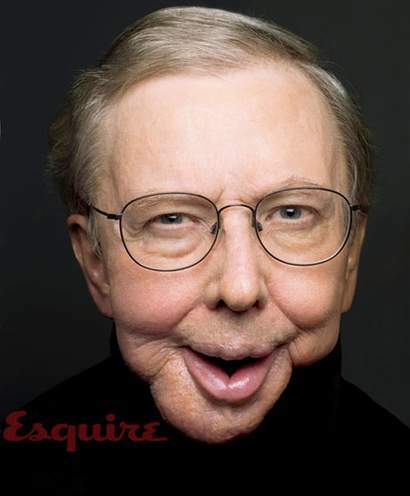 The photo of Ebert that accompanied Jones' Esquire story was remarkable. The toll that unsuccessful jaw surgeries have taken on Ebert's face is, at first, shocking. With his jaw drooping and sagging, he hardly looks like the TV personality we've known for decades, giving his thumbs up and down on movies. "Oprah" viewers will be taken by surprise. But look in his eyes, and you can see the same honesty, the same reason, the same humor, the same man.